These days, law firms must do a lot more than just practice law. In the past, referrals were often enough to sustain a practice, but in today’s market where you must compete with DIY services like LegalZoom or Rocket Lawyer as well as on-demand paralegals and other alternative legal suppliers, marketing is becoming even more important as part of your ongoing strategy. However, with all the options available, finding the right combination of tools and tech isn’t easy. 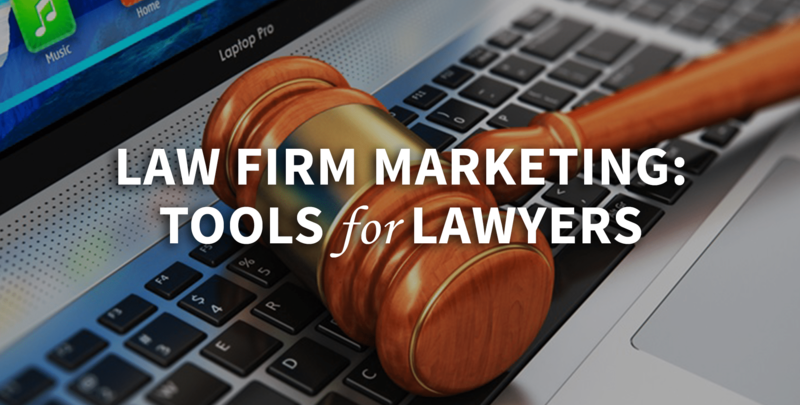 Listing every available strategy and tool, complete with all their various pros and cons, would be a huge undertaking – so to make things a little bit more digestible, we’ve culled the top three most beneficial Law Firm Marketing tools for your review. Text messaging is a common mode of communication for just about everybody these days. According to a Nielsen study, texting is the most used form of data transfer in the world. It transcends generations and unlike other forms of technology, is widely trusted. Despite what you may think, email is still the most valuable tool in the marketing arsenal. It’s a way to get your message in front of people while having their complete and undivided attention, and it’s excellent for building trust as well as for distributing useful and timely information. Email Marketing Automation allows you to segment your list based on a number of criteria such as by geography, type of legal service interest, past clients, current clients, people who have shown interest but have not yet become a client. This gives you an opportunity to personalize your message so that it is more relevant to the recipient. Email marketing campaigns can be set up well in advance. Along with providing your clients with convenience and timely information, it can deliver a significant amount of time back to the administrative staff, allowing them to focus on higher-value tasks. Print automation and document management is a huge time-saver in the legal office. Lawyers and law firm staff spend an inordinate amount of time on repetitive tasks like writing, printing, and sending out contracts and other legal documents. Think about how much could be accomplished in that time if the things you do over and over again could be automated? Print automation is a way to relieve the burden of creating and sending day-to-day correspondence like thank-you letters, congratulations, reminders, or anything that does not require personalization. A digital document management system (DMS) is an invaluable tool for law firms. With next-generation security features and programmable workflows, your office productivity will benefit in innumerable ways, delivering value right back to the bottom line. If you are interested in learning more about marketing technology that can benefit your law firm, contact one of our law firm marketing experts today and let’s get started.